Reviewing many scientific papers about the genetics of various traits. 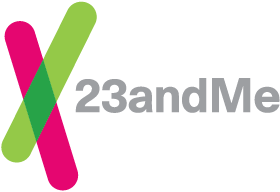 Using our own database of genotypes and survey data from hundreds of thousands of 23andMe customers who have consented to research, which allows us to discover statistically significant correlations between specific markers and specific traits. The Trait reports are different from our Carrier Status reports*. Some of the variants we use in the Trait reports are from published studies, and some are from our own research using our database. In contrast to the Carrier Status reports, we don't require that these variants directly cause the trait of interest, only that there is a strong statistical correlation between the trait and the variant. For some of the trait variants, we do know a little more about how they work, but for most, we are only beginning to learn how and why certain variants are linked to certain traits. By consenting to research and answering survey questions, our customers help grow the database of phenotypic data (traits, lifestyle, environment). The more data we have, the better we can fine-tune our models to make interesting trait reports in the future. We also hope to apply what we are learning about predicting traits to developing even more interesting features for our customers, including more health-related reports.